Our team is committed to delivering the best quality and customer service. Please contact one of our team members to see how we can help you today. Call 931.469.7272 to reach any member of our team or you can also contact us through our website. In 1982 Nordeck Thompson began his career at Thompson Hardwoods in Hazlehurst, Georgia where he worked alongside his father, W.N. “Bill” Thompson Sr.. From 1982-1992, Nordeck mastered lumber production systems. After ten years at Thompson Hardwoods, Nordeck and his wife Mary Claire relocated to Tennessee where they hoped to establish a hardwood sawmill in the Appalachian region. 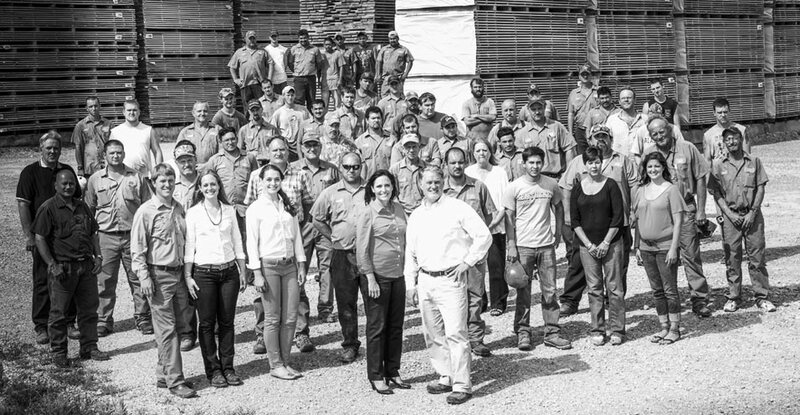 In the spring of 1993, Nordeck and Mary Claire began operating Thompson Appalachian Hardwoods in Huntland, Tennessee. Always remembering what his father said, “There is a fine line between a vision and an illusion,” Nordeck worked diligently to create a vision for his company. Nordeck’s vision is producing the highest-quality products and providing outstanding customer service. 20 years after opening Thompson Appalachian Hardwoods, Nordeck enjoys working with three of his six children, teaching his vision and instilling the work ethic that his father taught him.